Give to your families 1 or 2 weeks before Easter! Fill in the form below to immediately download this eResource for free. This is a great resource to give your parents one or two weeks BEFORE Easter. 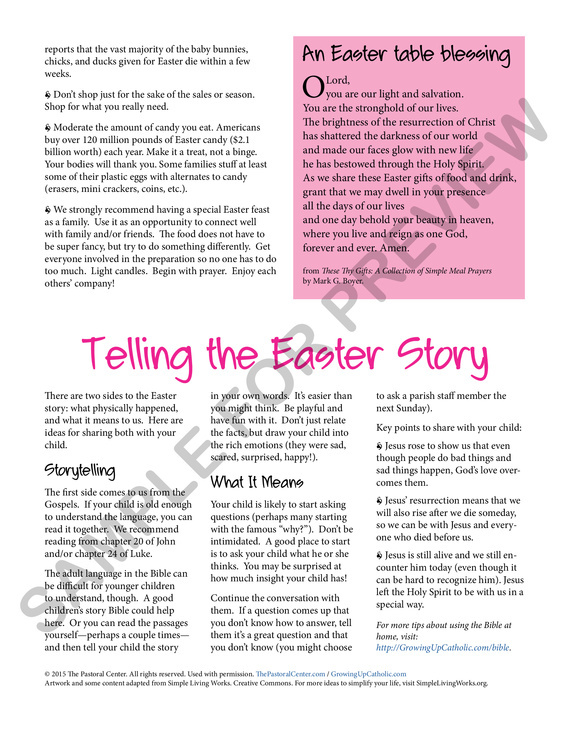 It is designed to coach parents how to share and celebrate the story of Easter with their children. It gently encourages families to discuss what traditions they should continue they they think are most in line with the day's meaning. This is a great evangelization tool: forming parents and supporting them in forming their children. Help us get this handout in the hands of every Catholic parent!